Next Event! 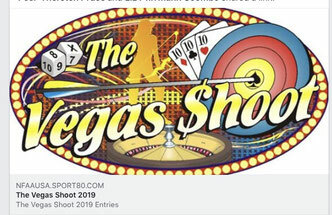 2019 The Vegas Shoot held February 8-10, 2019. We counted 54 countries represented this year! Be sure to check their website for schedule and for links to live scoring! Good luck to all our CD WFX shooters! Look for our risers out there and be sure to introduce yourself to us when you see us! You can't miss our shirts! Over the past six years, since 1,811 archers registered in 2013, The Vegas Shoot has doubled in size with more than 3,600 already registered. Organizers are expecting to reach over 3,700. “It’s another milestone broken in 2019 in terms of participation, of prize money and of building on this already world-leading tournament,” said NFAA Foundations President Bruce Cull. The Vegas Shoot is the largest indoor archery tournament in the world. It will take place on February 8-10, 2019 at the South Point Hotel and Casino in Las Vegas, Nevada. 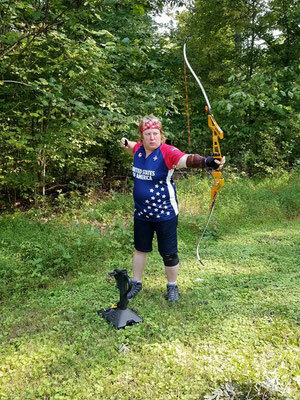 We've received an overwhelming response for the Women's Recurve division! With the number of archers already registered for this division, we are expanding the cut for eliminations from the top 8 archers to the top 16 qualifying scores! Payouts will remain the same. The 2019 Lancaster Archery Classic is scheduled for Jan. 25-27 at the Spooky Nook Sports Complex in Manheim, Pa. And while it might not seem possible for the East Coast’s largest indoor archery tournament to get even bigger, the 2019 event promises just that. 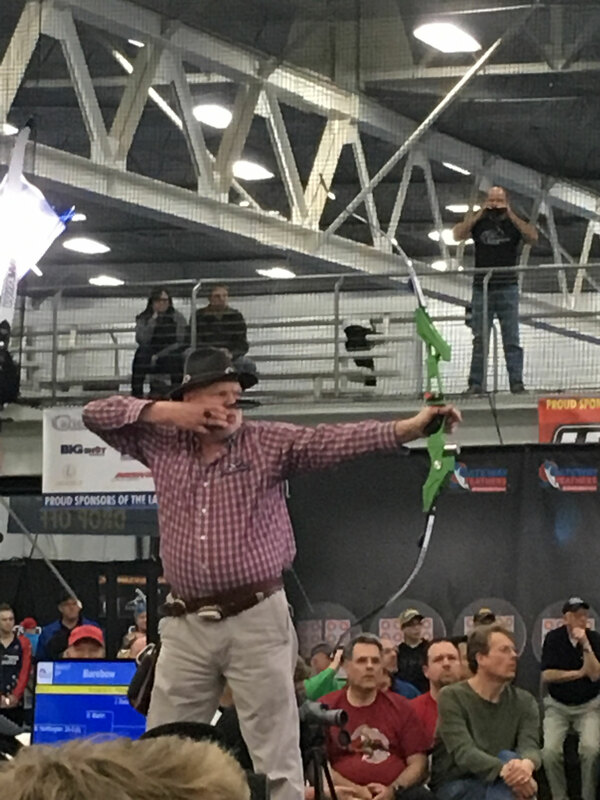 The 2017 Classic was the first at the massive Spooky Nook complex, which features 17 acres under roof, and it drew a record 1,100 archers from 13 countries. But there’s plenty of room for many more archers. 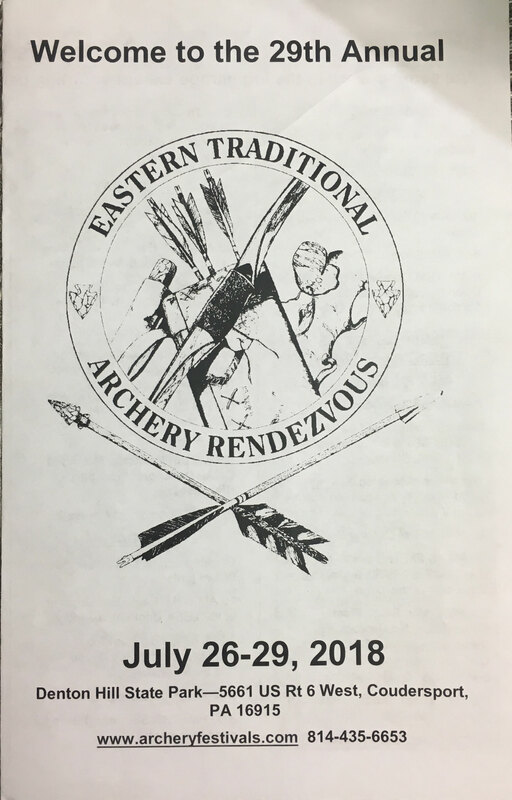 29th Annual ETAR 2018 is history! What a great but very wet week! 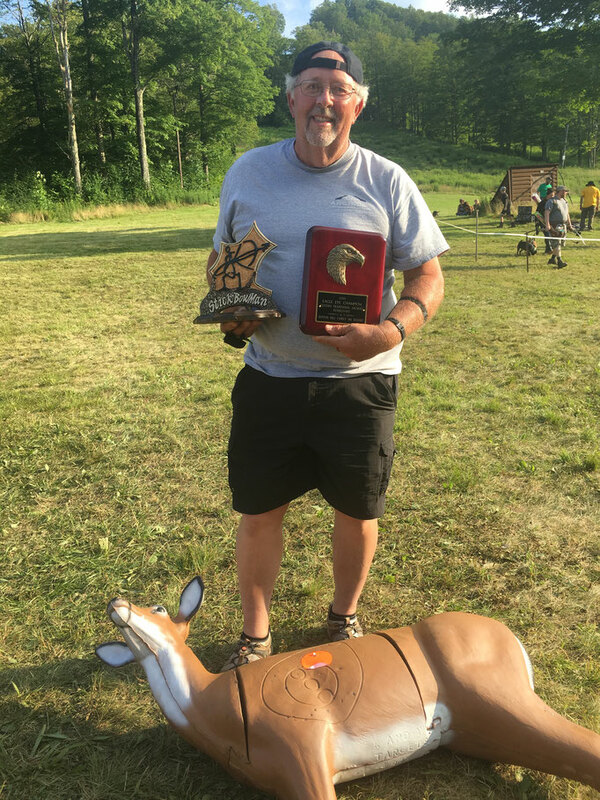 Congratulations to Calvin Smock for taking home the Eagle Eye Champion Wounded Warriors Benefit Shoot winnings of $1,200 and the most beautiful plaque along with a new hand made trophy from Stick Bowman from Dennis Kozora of Unique Creations from Sarver PA! What an amazing work of art this trophy is and such an honor to have been awarded this piece of art! We see his slogan is "When the Ordinary is not good enough" and this is not the ordinary! Also congratulations to all the shooters qualifying for this very difficult challenge to hit that spot with a wood arrow. 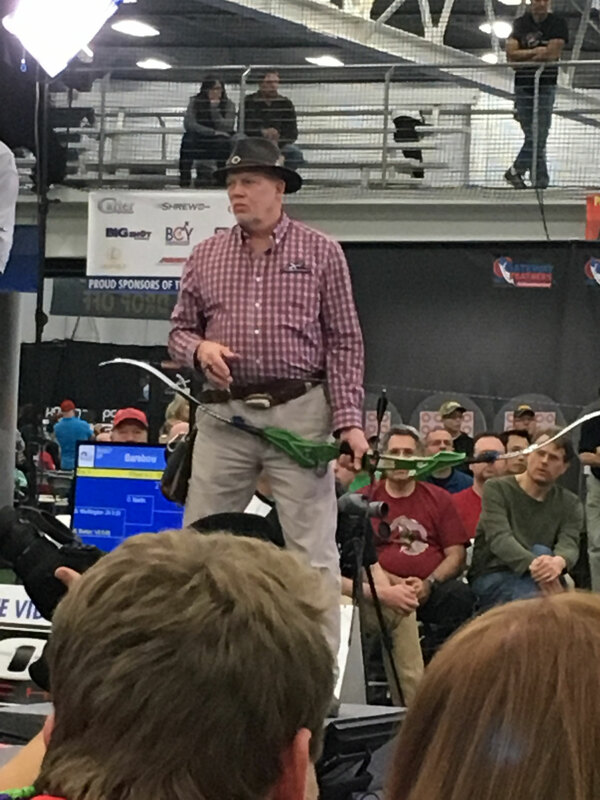 Calvin has been lucky enough to win this event twice with his 21st Century Longbow and it is one of the highlights of our year! If you have never attended this event, there are at least 8 challenging courses to shoot along the hillsides and thru the valleys with names like "Cardiac Ridge", "Nine Mile" and "Swamp Course" to keep you busy shooting until your fingers hurt all week! If you like to take pictures, this is a wonderful opportunity to take some great ones! Be sure to put this one on your calendar for next year if you love to shoot and love to camp and love to shop everything Trad! Rain or shine, this is the shoot for you! 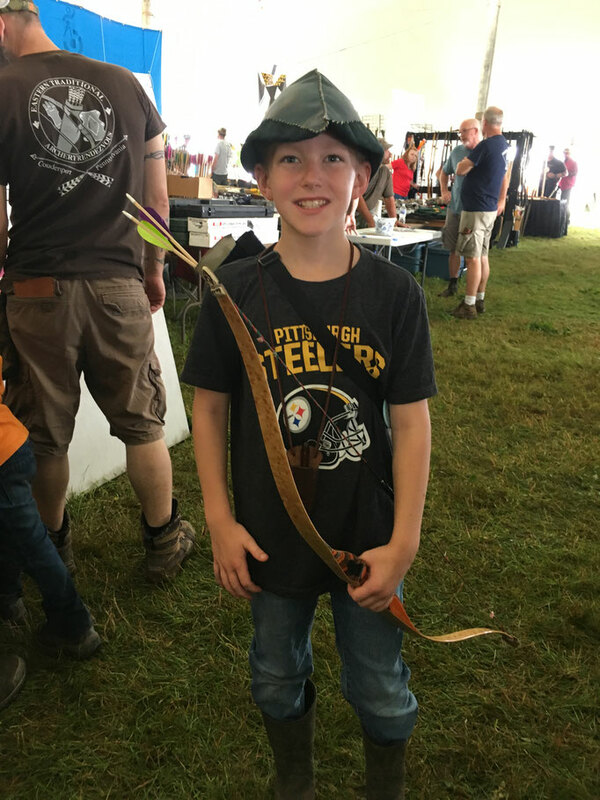 CD Archery was also well represented this year! If one of our shooters has a picture they would like to add to this post, please forward them to us in the "Contact Tab" on this site. We have attached the qualifying Eagle Eye Shot from our friend from Canada, Gentian Zoto! If you have not met him yet, you are in for a treat! A great guy and amazing shooter! This is all about having the opportunity to meet wonderful people from all over the world! Think about all the friends you have gained thru this amazing sport. We are humbled by the numbers..
We will be everywhere at the 2018 Indoor National Championships in Cincinnati Ohio on March 9-11! Come see our newest WF27XOlympic riser and see if it's right for you! Spring is here and so is ASA Pro/Am Championship in Foley Alabama! Look for Calvin! He has new toys! THE VEGAS SHOOT IS APPROACHING! Will you be there? We will! Watch for us! We will be well represented! 2018 Lancaster Classic is in the books! We are so pleased to have, once again, Dewayne Martin and Bobby Worthington in the final 4! Congratulations to all our CD Archery Shooters! 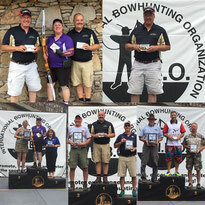 Barebow rocked with 125 registered shooters this year! Outstanding! Thanks to Rob Kaufhold, John Wert, The Push and everyone involved with the production of another great event! I'm sure the preparation has already started for 2019! See you there! Congratulations to all the winners! 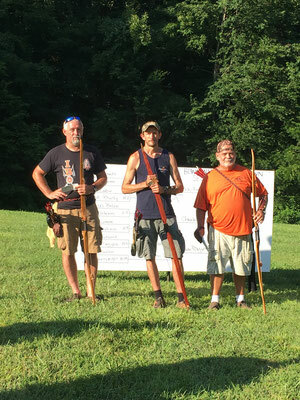 Richard Barker 1st, John Demmer III 2nd, and Dewayne Martin 3rd. The entire video follows the pictures below. The Barebow community rallied to support the class in 2018! 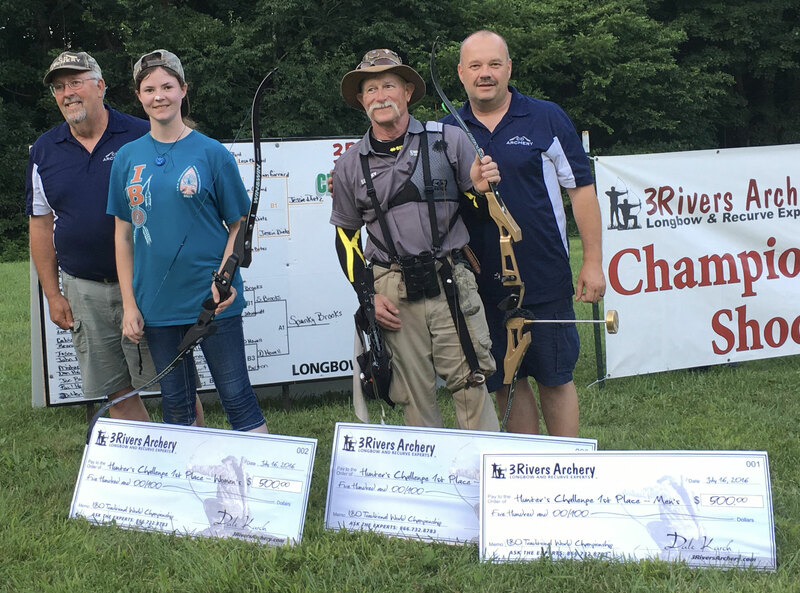 Lancaster Archery will review and adjust the Lancaster Classic payouts for 2019 to recognize the overwhelming response from the Barebow competitors. 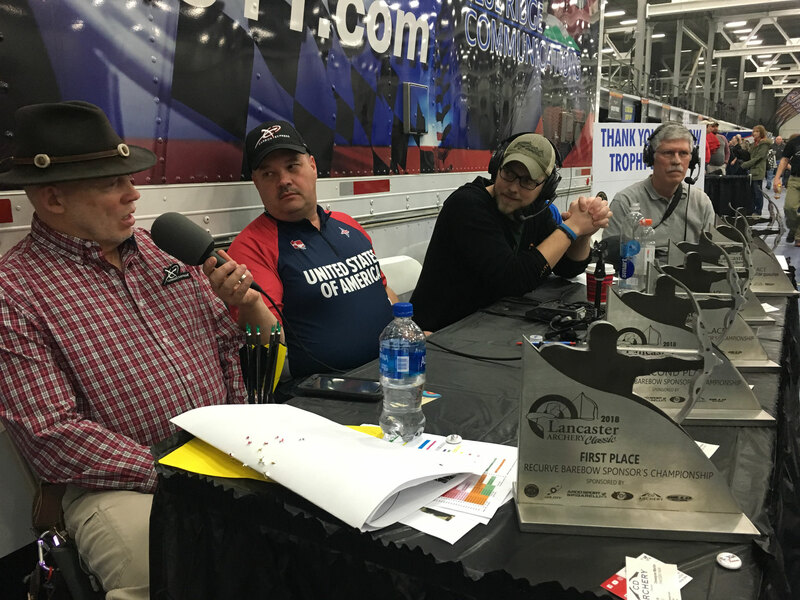 For the upcoming 2018 Classic Lancaster Archery is able to respond to the surge in participation with the help of a few key sponsors. 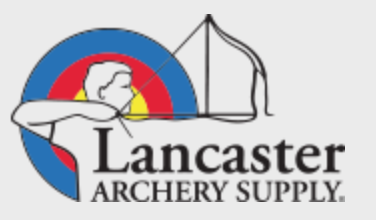 We are very happy to share this announcement from Rob Koufhold, President of Lancaster Archery Supply. 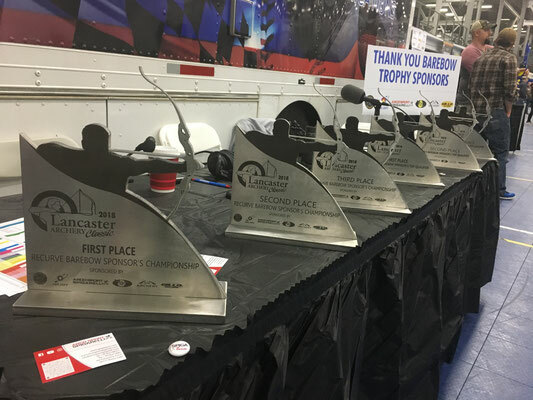 "Thanks to those companies who have contributed to specifically sponsor the Barebow Recurve Division, we've been able to add special Barebow Recurve trophies plus payouts for the Gold/Silver/Bronze for Women's Barebow Recurve competitors and increase the Payouts even more for the elimination and Shoot-Up finalists in the Barebow Recurve Division. Please thank and patronize these companies and products for their contribution and commitment to the Barebow Recurve community." 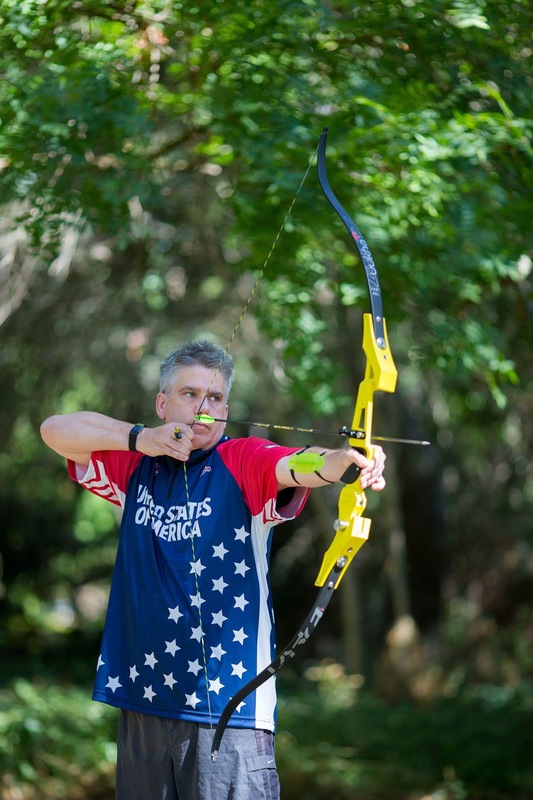 WORLD ARCHERY 3D CHAMPIONSHIPS IN ROBION FRANCE 2017 IS ON THE BOOKS!! We are so excited to announce that Team USA has won GOLD in a very exciting match between Spain and Team USA! Special congratulations to all our 3 shooters at the event and especially our own Dewayne Martin for placing 7th in the individual matches and being the Barebow shooter on the USA Team. The team was consistent of Dewayne Martin, Barebow, our own Calvin Smock, Longbow, and Dalton Richardson, PSE Compound. This was an experience of a lifetime and we are looking forward to more international events! Next stop, Alberta Canada, 2019!! 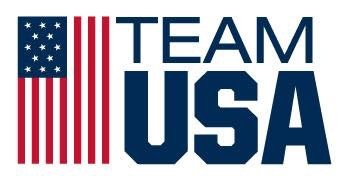 We are very excited to announce that we will be representing the USA in Robion France in September! 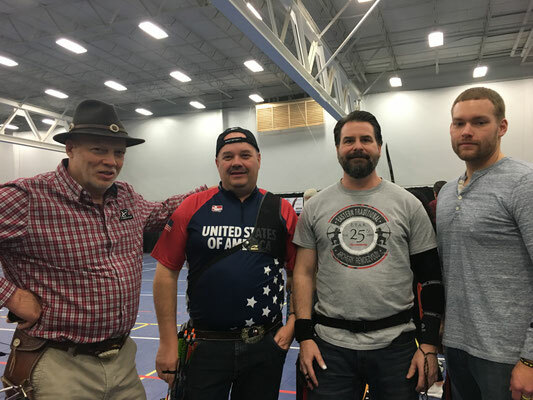 We are so pleased to have three CD Archery shooters qualify to shoot in their classes. 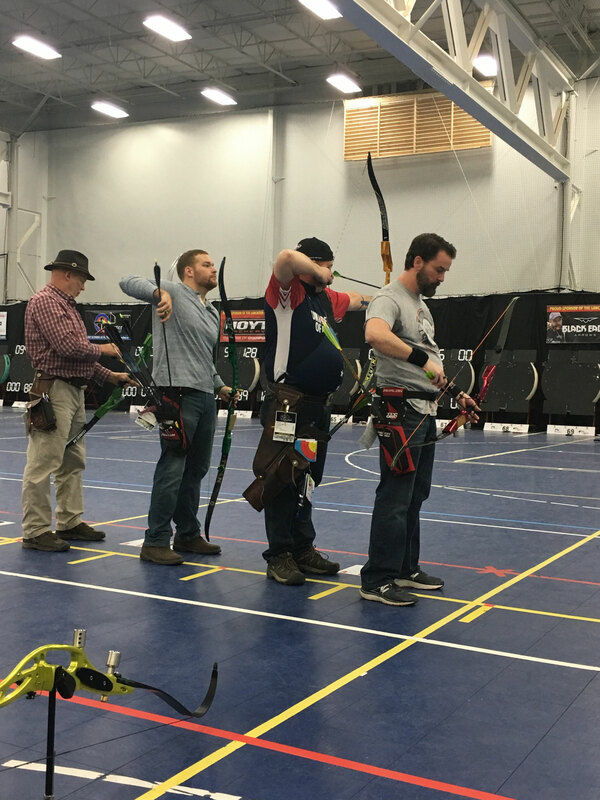 Dewayne Martin and Erik Schwartz in Mens Bare Bow class and Joella Bates in Women's Bare Bow. 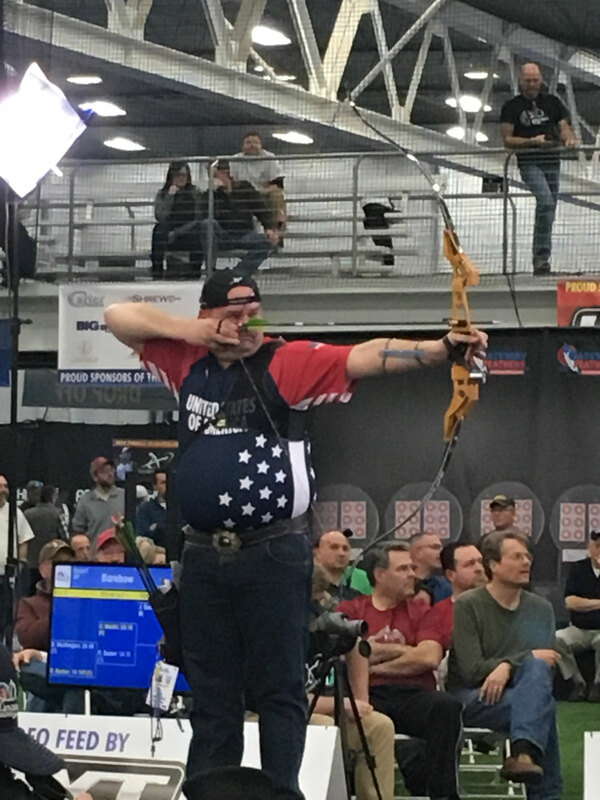 Also Calvin Smock has qualified for Mens Longbow so we will have a great group of shooters representing the USA! Stay tuned for results! Be sure to get to this event at Denton Hill! 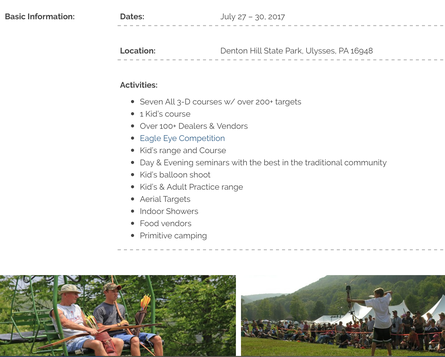 Check out their website at www.archeryfestivals.com for complete details. Don't miss Friday night seminar Advanced Aiming Methods by Matt Zirnsak @thepusharchery. 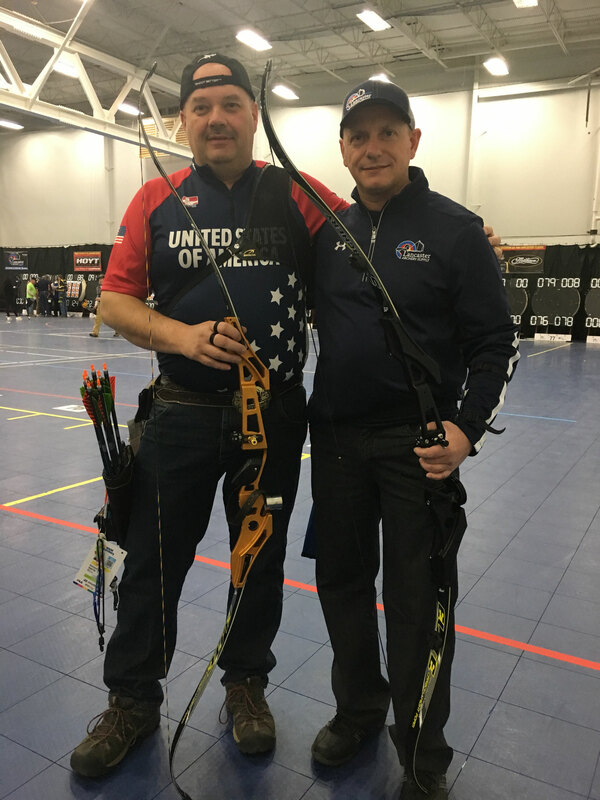 Also be sure to look for the CD Archery booth this year and say Hello to Dewayne and Calvin! We're there to take questions and handle our risers! This is the biggest traditional event you will be able to attend! 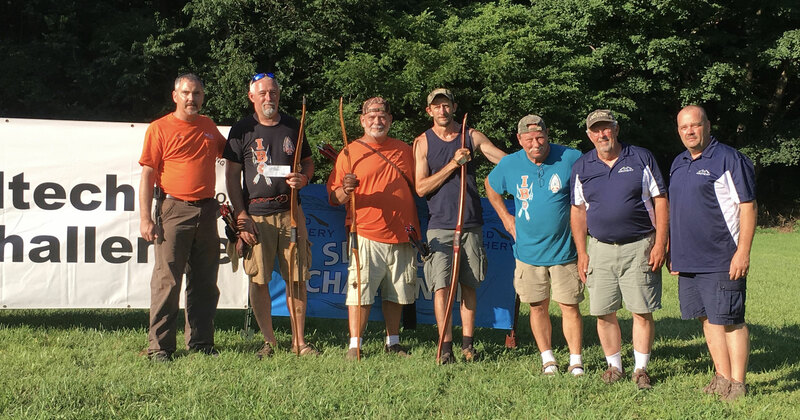 Congratulations to all our CD Archery shooters for the great showing at the 2016 IBO World Championship & Archery Festival held last weekend at Seven Springs Mountain Resort. Results are in!! 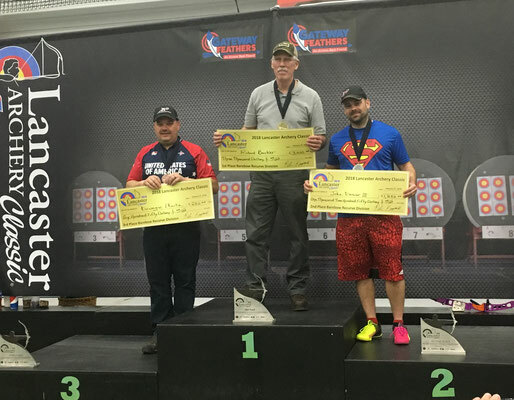 Our very own partner, Dewayne Martin was able to hold his lead and win the ASA Shooter of the Year in the Traditional Class and also the event at the ASA Classic! Nothing but the best for our WF shooters!! Congratulations Dewayne! Congratulations to Sierra Lynn Cofield for winning the Long Range Dot Shoot and winning a WF19 and a set of Dryad Recurve limbs at the IBO Tradworlds at Twin Oaks Bow Club. 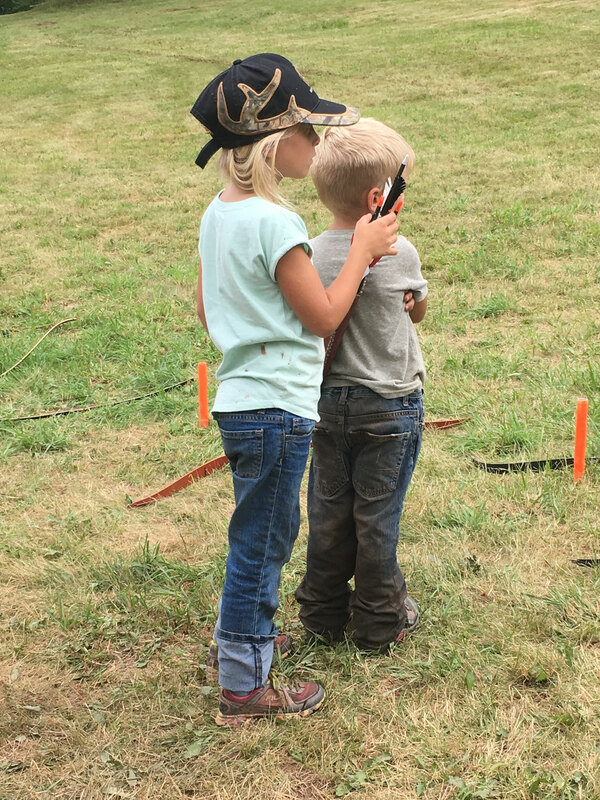 She will be going to college and shooting on a barebow team! We're thinking she will be way ahead of her competition!! Congratulations to all our winners at the IBO Tradworlds at Twin Oaks TN. 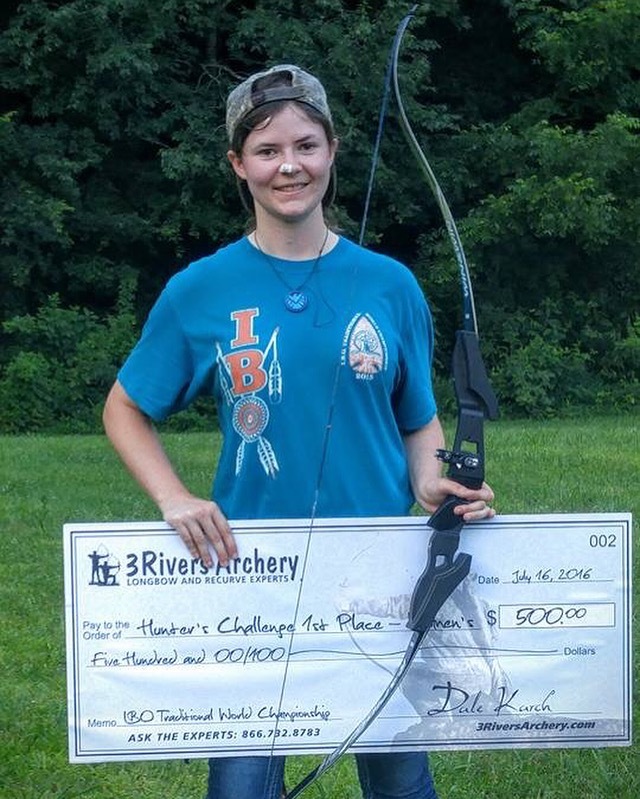 Jessie Dietz won the 3 Rivers Sponsored Womens Challenge and the Trad Tech Ladies Team Shootdown. 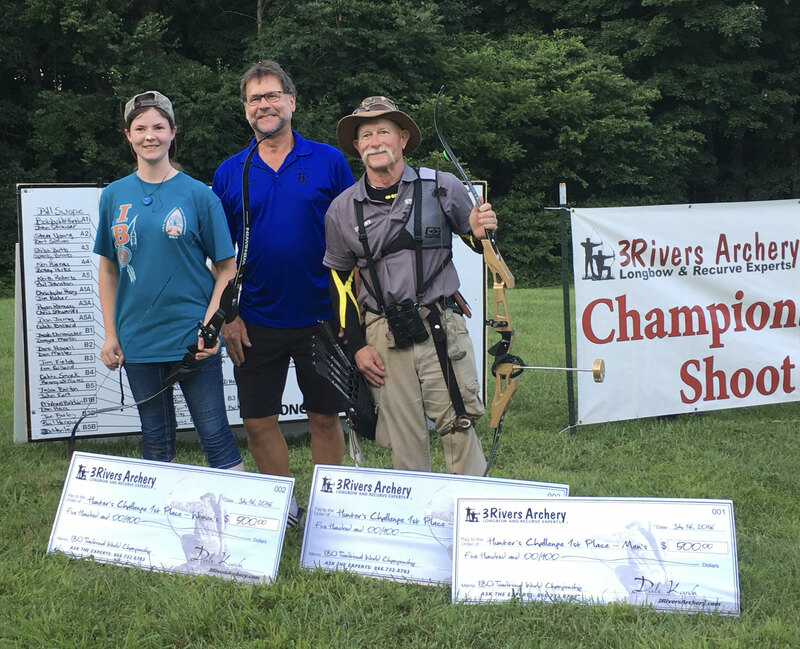 Spanky Brooks won the 3 Rivers Sponsored Mens Challenge and the overall high score in the final shootdown for $500 each! Congratulations to Dewayne Martin winning the IBO Triple Crown once again this year for 2016! 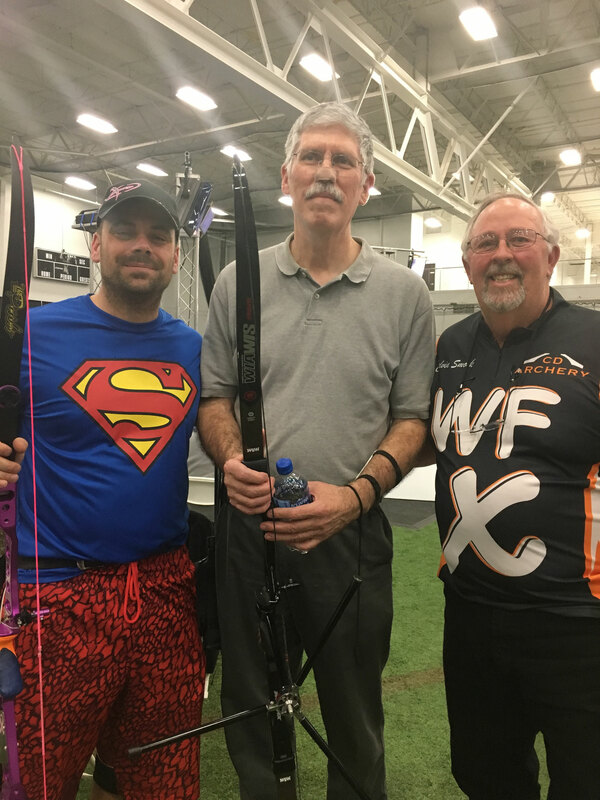 Congratulations to Bobby Worthington for his First Place position, Dewayne Martin for taking Second Place and Keith Roberts for taking Third at the ASA Pro Am in London Kentucky this weekend, June 4, 2016! CD Risers had an awesome showing taking 8 of the 10 top positions! Way to go for all our shooters! Just got home from First Leg of the 2016 IBO Triple Crown in Pipestem Resort State Park West Virginia. 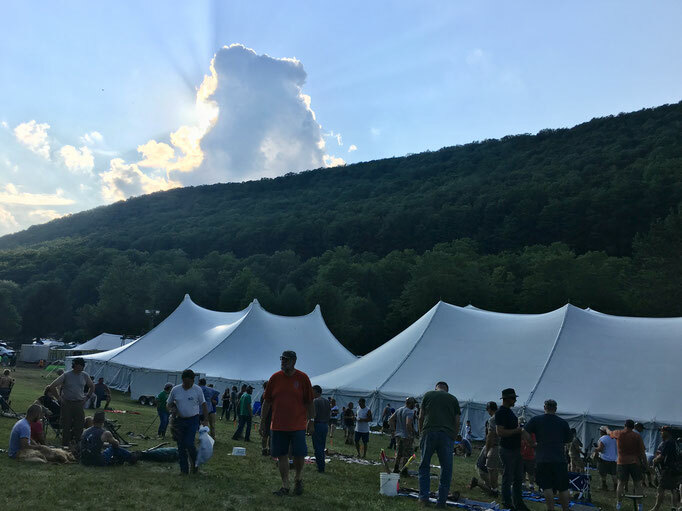 What a weekend with all types of weather! Sun, wind, rain, cold, with snow and hail on our way home. RESULTS ARE IN! CONGRATULATIONS TO ALL OUR CD ARCHERY SHOOTERS FOR A GREAT SHOWING AT THE 1ST LEG OF THE IBO TRIPLE CROWN! Congratulations to Dewayne Martin for taking Second Place at the ASA Pro Am Championship in Augusta GA! 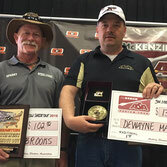 Congratulations to our Partner, Dewayne Martin on a big win this weekend at the ASA Pro Am Shootout in Paris Texas! Also to Spanky Brooks for taking second and Partner, Calvin Smock for taking 4th place! Yes, that's 3 out of top 4 places shooting CD Archery risers! We are off to a wonderful start for 2016! 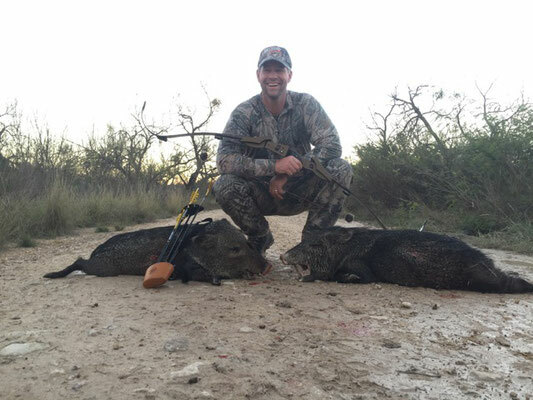 Just received these pictures courtesy of Bert Sullivan of hunts of Rhett Palmer who uses his WF19 and Border Limbs. 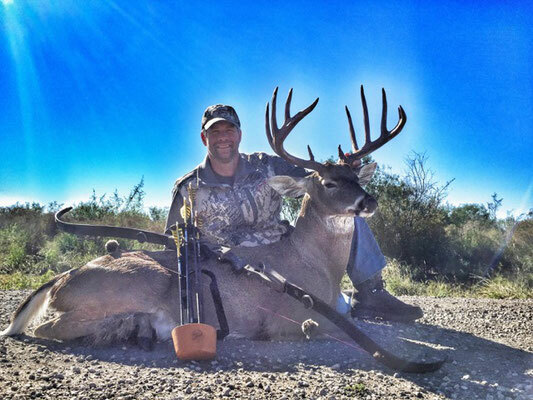 This is from his Texas hunt. The buck grossed over 160 lb! We love to post these pictures! February 15, 2019: Good morning Janet, to my surprise customs cleared my package today already, so I'm now the proud owner of the 1st WF25X in Argentina!! YAY!!! Won't be able to test it until tomorrow, but just having it in my hands the quality is beyond impressive, kudos to all the team for a magnificent job!! Just wanted to thank you again, I absolutely love my new WF19 riser. I haven't been able to put it down since I got it. Close to 500+ arrows already. It shoots so nice I almost want to take my plunger out of my WF25X and shot off the rest like with the 19. It has great balance, great grip, and great color (Bronze). Already built some GT Traditional XT's that fly amazing at 20 yds. Thank you so much for making Barebow Shooting such a great experience. 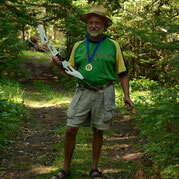 CD Archery Shooter for Life! 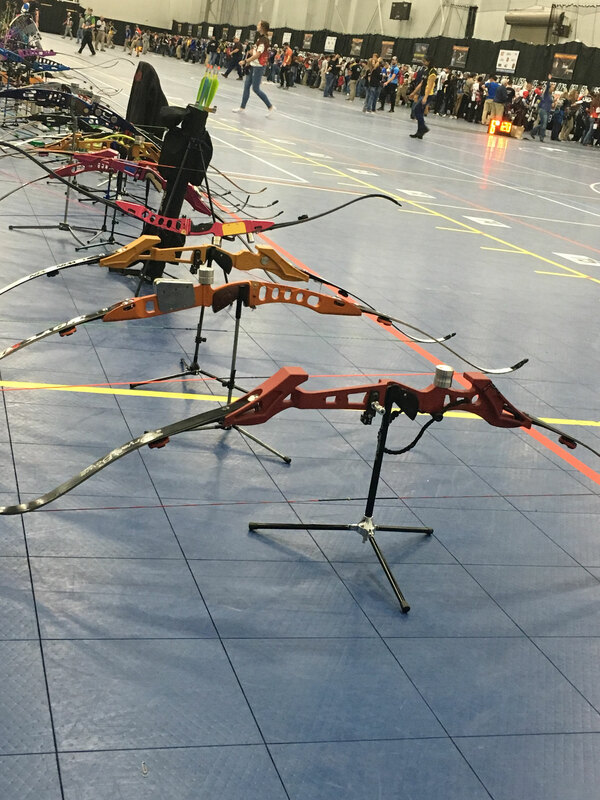 I finally finished my new bow set up!! I did a rough turning in my garage with a variety of arrows and all shot well. This riser is very well made. It sits dead still balanced perfectly in my hand. I'm taking it to the range tomorrow for some serious shooting. From what I've experienced so far, I think this may turn out to be the riser I've been searching for. Pictures attached. I'll let you folks know my results... ALOHA! DAVE "Deep Woods"
Just to let you know the riser has arrived tonight.. all good. Thank you so very much...looks fantastic and I'm sure it will shoot as well as it looks so I look forward to the morning. Thank you for your help and the spare parts and wrench as well as set up.. 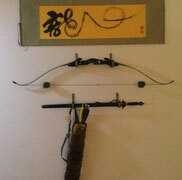 The bow is now in its place of honor.. the Chinese believe that hanging a bow in a house is very good luck.. The calligraphy says "Black Dragon".. my Chinese name. Once again thank you for a quality product and great service! Your riser has now made the trip from china to New Zealand. Not had a chance to hunt with it yet other than a few rabbits but I thought you may like this picture. I just wants say thank you for making this perfect riser for me. It's stable, comfortable, and the hole which you build is perfect for the cushion plunger. And this riser help the limbs shows higher performance!!! It is true, I felt it!!! Great design!!! For every thing you've done for me, I feel very grateful!!! Martin Ottoson gave the riser for me two weeks ago in Sweden,So I shoot it ever since. I have only positive feedback of riser, and I can saythat Design has managed to brilliantly. 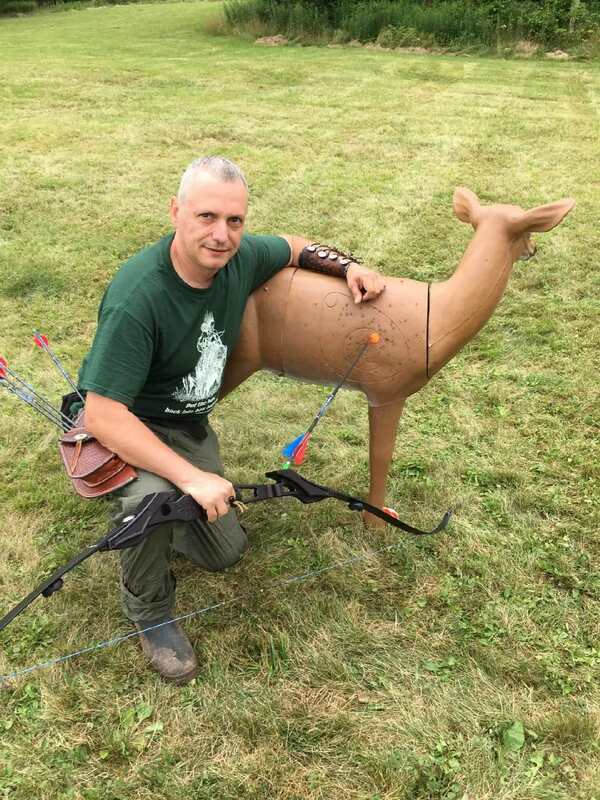 Last weekend I shot WA 24 target fieldround in Riihimaki(Finland) I scoring 339 points with a few “stitch” mistakes.I am very pleased to riser and I will shoot all season with this riser. Brilliant balance with small extra weight. Very pleasant to aim and after release not twistin hand. Already more heavier riser than other brand of risers. Tiller bolt system is simple and simply thebest. Perfect mate rials Aluminium and stainless steelwith nice finishing. Designed only for bare bow archers. 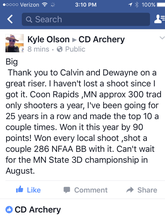 We would like to congratulate Kyle Olson who it the new Minnesota State 3D Champion for 2016 with his new CD Archery WF25 bow! 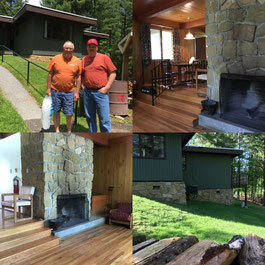 Great shooting with another happy customer!! Just wanted to let you know i received the riser in on Monday and set it up with some old SF Archery limbs I had on hand. I wanted you to know how pleased I am with the riser. The quality looks great and it has great balance. Shot some arrow thru it and was blown away with how accurate I shot the bow. Im not a great shot but I was shooting it very well and I am very impressed with the balance after the shot. Thanks for all of your information and helping me get set up with an ILF riser this is awesome. Looking forward to getting some different limbs down the road. May have some tuning question s for you like brace height and limb tiller. Do you have any recommendations on brace heigh and limb tiller. Have a blessed day. 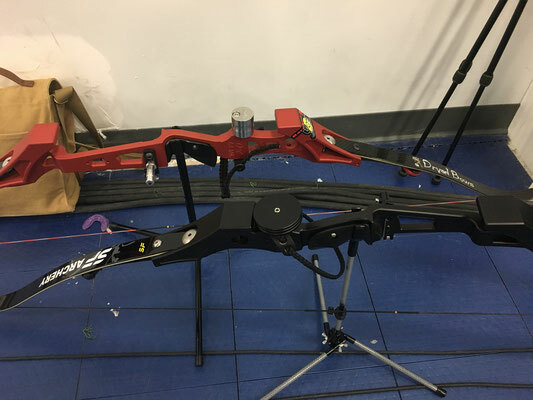 CD archery has made a significant departure from conventional barebow design with the weight forward design strategy to create a balanced bow without stabilizers. I have not shot the riser so I cannot comment on the feel. It is clear, however, that it does not look like anything I have seen before. 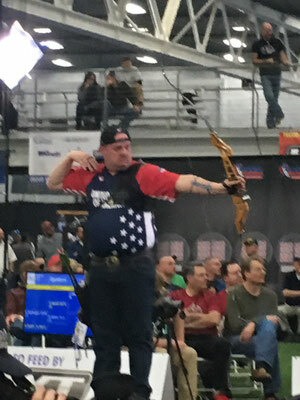 The fact that many top US barebow shooters are now using it says a lot. So why have the Italian barebow manufacturers missed this? Is it because most barebow risers are made to be used as Olympic style bows as well as barebows, or are barebow modifications of Olympic risers (for example the Zenit which comes in barebow and Olympic versions)? 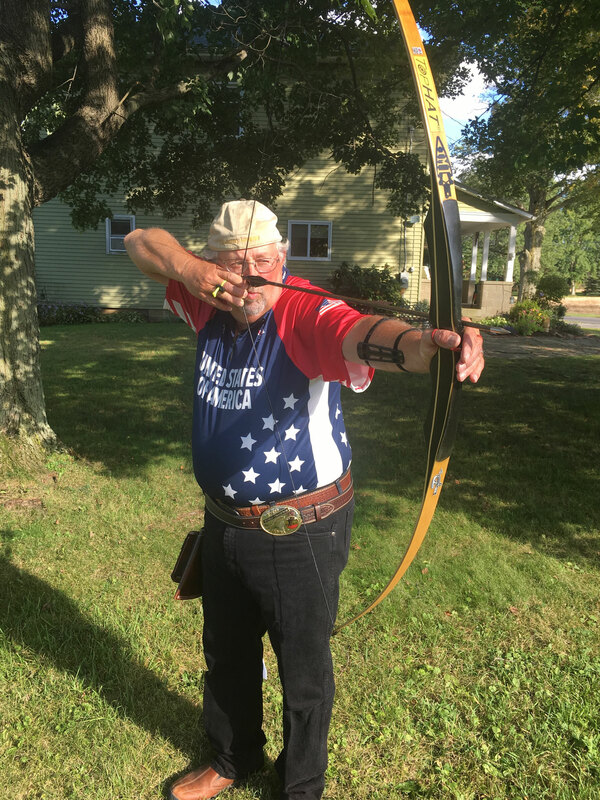 The Spigarelli 650 Club and Barebow are made for barebow. They look different, but not in the way that the WF bows differ. Without question, Vittorio Fragelli knows bow design (Bernardini, Gillo) but he did not come up with this significant new design element. It will be interesting to see how the WF design catches on. Will weight forward designs become the innovation of the barebow riser market, similar to extreme recurves in the limb market? 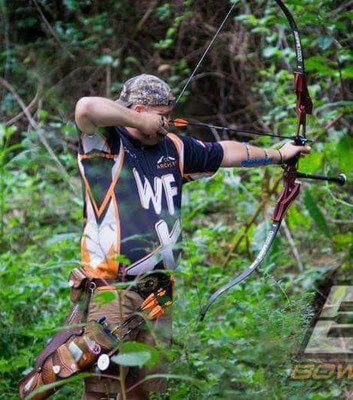 Wil we start seeing the top European shooters moving to WF designs. It will be interesting to see. Credit goes to CD for building a riser from the ground up, to barebow requirements. This is Craig from Bondi Beach, Sydney Australia (down under). I shot my new wf19 for the 1st time today at my club, Sydney Bowman. Your riser is amazing to shoot. Your service is awesome. I'm a very happy and grateful Aussie archer.